Adultery is not a new theme in literature. It’s been featured in the great works of authors like Tolstoy, Fitzgerald, and Goethe to name a few. It is also been the topic of more than a few films and songs. 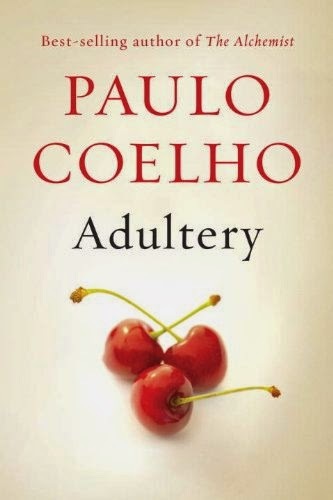 Now contemporary Brazilian author Paulo Coelho gives us his take on the subject in his new work of fiction, adeptly titled Adultery. However, to simply say this is a story of adultery is to miss the deeper nuances of the book but more on that later. The novel revolves around Linda, a successful Swiss journalist married to a prominent business man who loves her deeply. They seemly have an idealistic life, a happy home and children. Linda is depressed, however, and unsatisfied with her circumstances. Her life has become routine and boring. An interview leads to an affair with an old high school sweetheart. The liaison causes her to reexamine her life as she discovers the passion that had been missing, leaving her with a life altering choice to make. Adultery is a book about sin, betrayal, self discovery and worth. It’s about reinventing one’s self but at what cost? Voyeuristic in nature, we watch Linda’s downward spiral as she wrestles with depression, monotony, and, later on, appetites that threaten to destroy everything she has. Linda is at times narcissistic and an unsympathetic character, but at other times, she is very relatable. Who among us hasn’t examined our lives at some point and found it lacking? Who hasn’t felt the need for something more; something that defines our lives and gives it worth? The writing is flawless, the prose tight. Coelho weaves biblical references, Greek mythology and religious history into the tale in a masterful way. He will make you think about your own life, how you cope with the mundane, and how we find meaning in a world that is often banal and hard to understand. Ultimately, Coelho seems to be saying our fate is in our hands, we can choose to constructively change our lives for the better or self implode.